I'm not sure what inspired me to do this, but the end result was very attractive, so here it is as a project. This is the prototype running on a set of three AA batteries. It looks sharp and colourful, particularly at night. 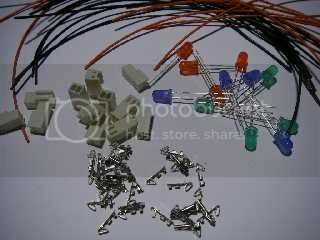 The components required are:- A mixture of random high intensity LEDs in any two pin style and colour, some thin solid core wire in two colours to make polarity identification easier, some 0.1" (2.54mm) Molex style 2-way crimp sockets to hold the LEDs (you could just solder to the LEDs), a suitable power supply, some heatshrink sleeving and some resistors to limit the current to about 10mA per LED. 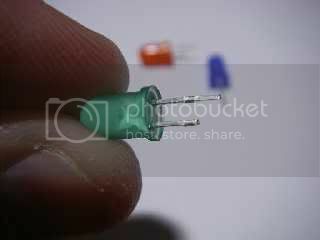 The voltage you use will determine the choice of resistors. Typically 330 ohm would be ideal for 5 to 7 volts and 1000 ohm for between 8 and 14V. Although you _could_ solder directly to the LEDs I chose to use the miniature Molex style PCB interconnection sockets to allow the LEDs to plug in. 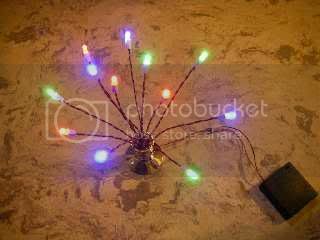 This means you can shuffle the colours as desired, and also put in new LEDs to update the ornament. 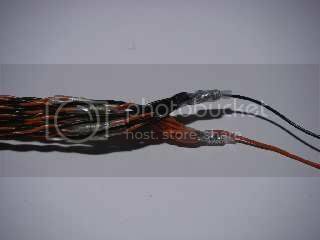 The crimps for the Molex connectors are designed to be crimped on to a wire using a rather expensive tool, but you can also solder the wire directly to the crimp. 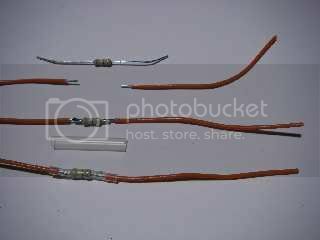 Cut the wires to a common length, which I chose to be 12" (300mm), and after soldering one end into a crimp cut the positive wires about 2" (50mm) from the other end and solder in a resistor as mentioned above. 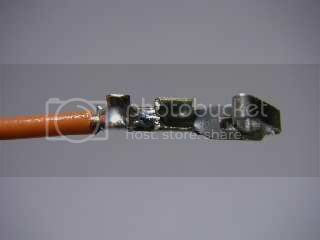 Sleeve the resistor with a bit of heatshrink tubing to protect against shorting to adjacent resistors. Insert the crimps into the housing so that the little tongue on the back of the crimp latches into it's slot in the crimp housing. These housings generally have a digit "1" at one end, and I made that the positive side. 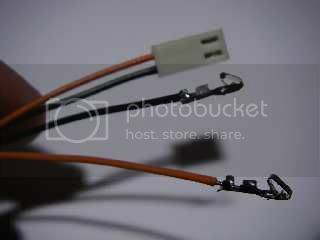 Carefully crop all the leads to the same length and strip, twist and solder the loose ends together as a common positive and negative connection. 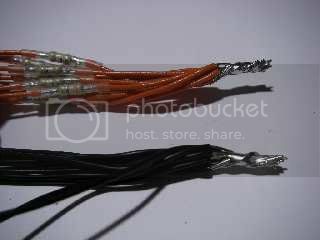 The LEDs are already supplied with the anode (positive) lead slightly longer than the cathode (negative) lead, and since the leads are going to have to be trimmed down, it makes sense to keep the anode lead a bit longer to help identify it. 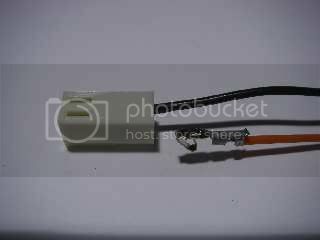 The LEDs are then inserted randomly into the Molex style sockets, taking care to put the slightly longer positive lead in the positive side of the socket. You may find it useful to dab each of the sockets with a red marker pen on the positive side or a black one for the negative sides. 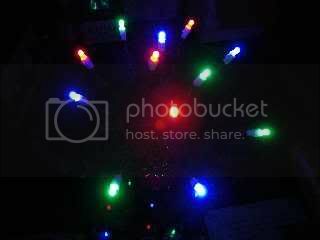 Then find an ornate base for your light, connect the power supply up and fan the LEDs out into a nice shape as shown above.